Wood based wire snap trap with metal trip pedal. 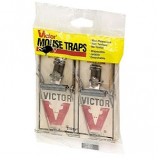 Can be used around food water children and pets.. Clean and quick trapping.. Ideal for runway trapping.. Made in the usa. 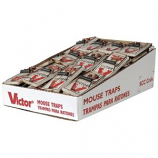 Contains 36 each twin wood mouse traps 2 packs. Can be used around food water children and pets. Clean and quick trapping. Ideal for runway trapping. Made in the usa. Granular repellents. Formulated with recycled paper and essential oils. 100% Natural and 100% Biodegradable. 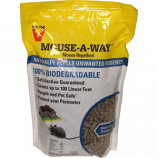 Naturally repels rodents from around homes garages sheds wood piles and more. . 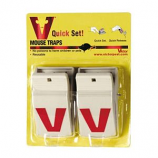 Contains 6 each quick mouse trap 2 packs. Sets and releases with one simple click. Can be used around food water children and pets. Press trap to open and apply bait. Made in the usa.